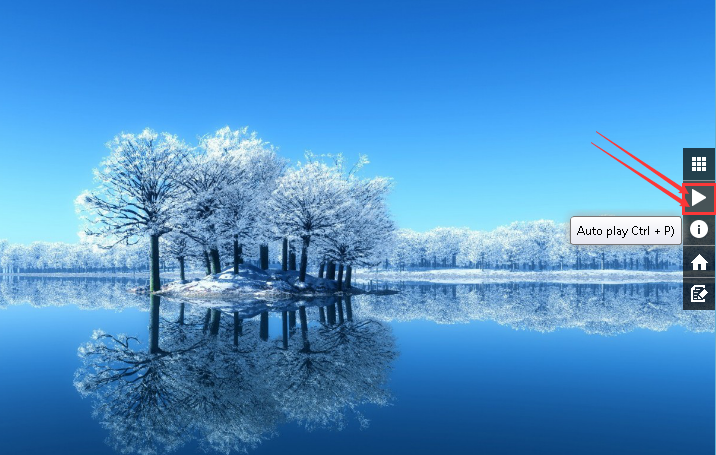 In the presenting interface, you can start or stop autoplay your presentation. 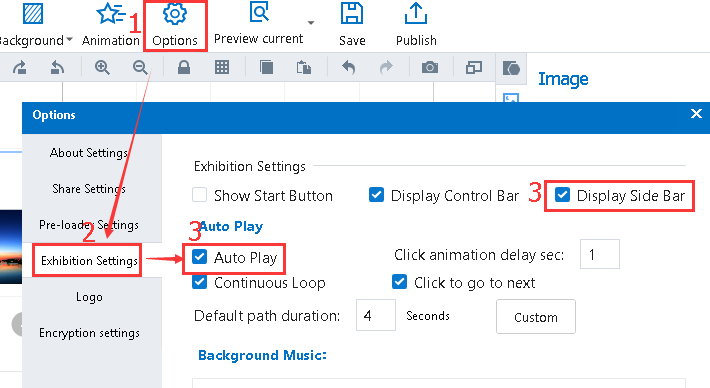 1"Options"→"Exhibition Settings"→"Display Side Bar"→"Auto Play"
Click "Options"→"Exhibition Settings"→"Display Side Bar"→"Auto Play" buttons in sequence to show Side Bar in the presenting interface and setup the autoplay mode. Note: Before you publish your project, you must make sure that you have checked the option of "Display Side Bar" and "Auto Play" buttons. 22 Click "Auto-play" button to start/stop autoplay mode.